Advertisers and creative professionals are turning to user-generated content for their creative campaigns with increasing frequency. In 2018 alone, Jukin Media is on pace to license more than 1,300 video clips for use in advertising campaigns, including for TV and digital, with some of the world’s biggest brands. To meet marketplace demand, and to continue to harness the power of user-generated video for advertisers, Jukin is excited to announce two new talented and experienced director-level hires. These two professionals bring a wealth of knowledge and industry experience, and will work from New York City and Atlanta, respectively, to collaborate with brands and creative agencies on engaging, UGC-powered creative campaigns. 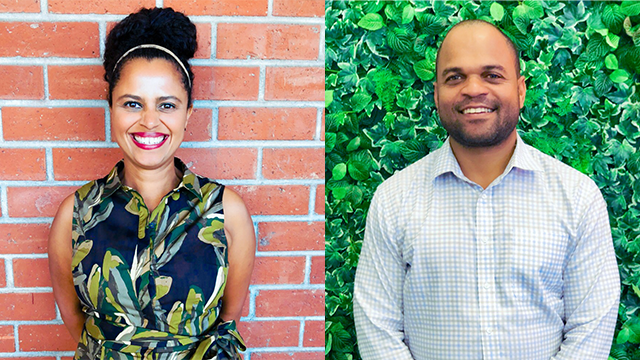 We’re pleased to welcome Tina Robinson and Derek Smith to the Jukin Media family! Tina will be based in New York as our Director of Licensing focusing on leveraging brands and agencies with the help of UGC! She is originally from Massachusetts and has lived in NYC for 14 years, mostly working in beauty and fashion companies on both the product and creative sides! While her previous work has been in traditional media, she’s excited to make the switch and join the Jukin Media team. Tina is a Brooklyn resident, and the proud mom of Owen (5), and Remington (7), her stubborn but adorable Frenchie. She loves music, art, traveling, and politics and when her Yankees obsessed husband isn't around she secretly dresses her son in Red Sox gear. Derek will also be focusing on brands and agencies as our Director of Licensing, however, he will be based in Atlanta to increase the Jukin Media footprint on the East Coast! Derek was raised in Los Angeles and moved to New York to start his career in media and advertising. He now lives in I Atlanta where most of his free time is spent working as an In-house Chef and Chauffeur to his two kids Benjamin and Adrianna. He has consulted with companies including MailChimp, Verizon, Amazon Web Services and loves technology, strong brands, and good storytelling. He recently worked at Corbis Images in New York selling creative content to advertising agencies and corporations in the South and Northeast. Jukin is always looking for more talented individuals to join our team; check out our careers page to see open positions!